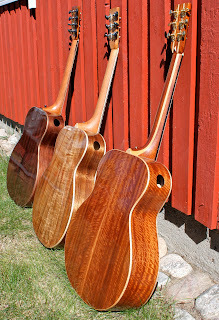 I've made three guitars with the same mold. I call the body shape J-OM. It's a fattened (J=jumbo) version of the Martin classic Orchestra Model. The volume of the box is somewhat bigger than OM but smaller than a Dreadnought. As #4 happened to be around for a tweak, I decided to shoot some "family photos" just for the fun of it. Luckily, the sun was shining too. 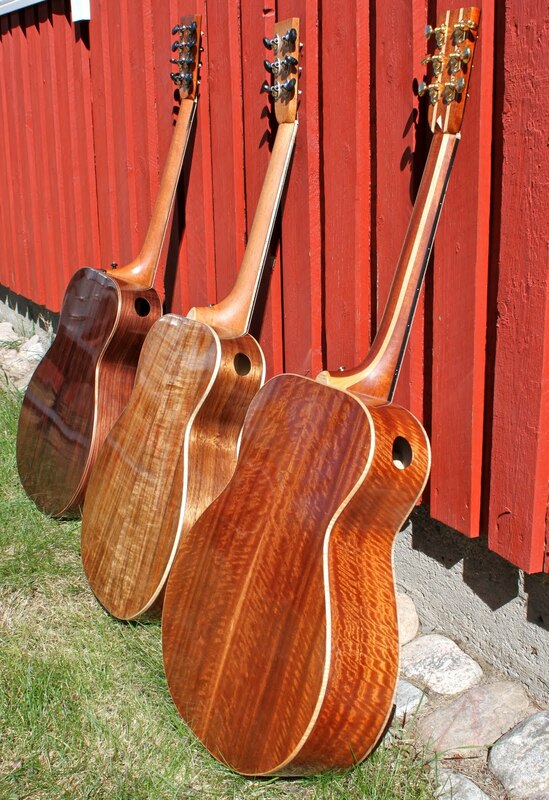 Rosewood, koa and flamed sapele mahogany. The sapele has darkened quite a bit since it was born.